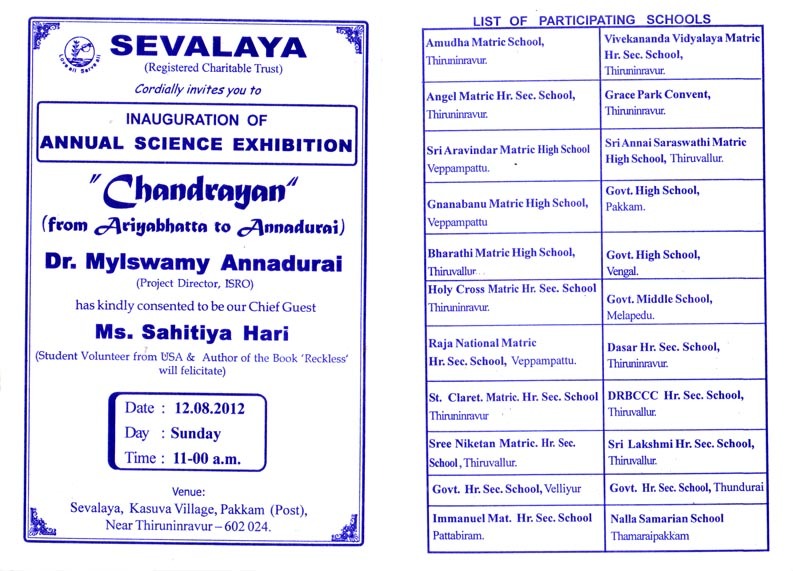 Dr.Mylswamy Annadurai will be inaugurating Sevalaya’s annual science exhibition on 12th Aug, Sunday 11 AM at Sevalaya’s Kasuva village campus. Thiruvallur dist. 22 other schools are also participating. The exhibition will be on Indian space research history. It is titled “Chandrayaan – from Arriyabatta to Annadurai”.